Entertaining your friends and loved ones will be that much more luxurious with the Palance Marble Sectional! 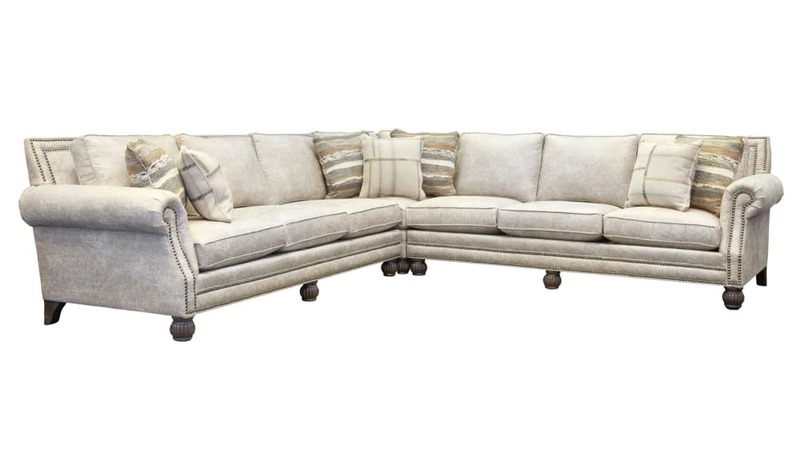 Spacious seating and thick, luxurious cushions make this sectional the perfect place to watch a movie, curl up with a great book, and everything in between! Ensure generations of comfort with the Made in America comfort you deserve! Gallery Furniture can deliver today!